Hi Everyone! This is Kacey from Doodle Bugs Teaching! 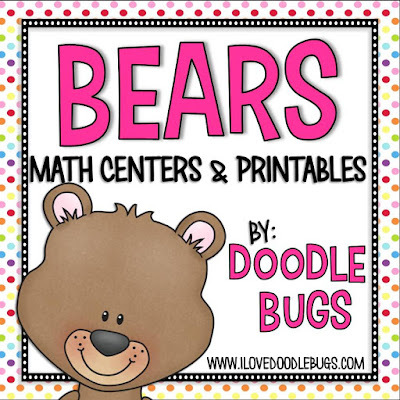 Bears are one of my favorite units to teach! Kids love learning about the different kinds of bears and the science facts. And, we ALL love the cuteness of a teddy bear! I used to teach a bear unit in January because it was a great time to talk about Polar Bears. But, one year I moved my bear unit to April. It fits in a little better with my schedule. I wanted to share an old product that I have updated and doubled in size recently. 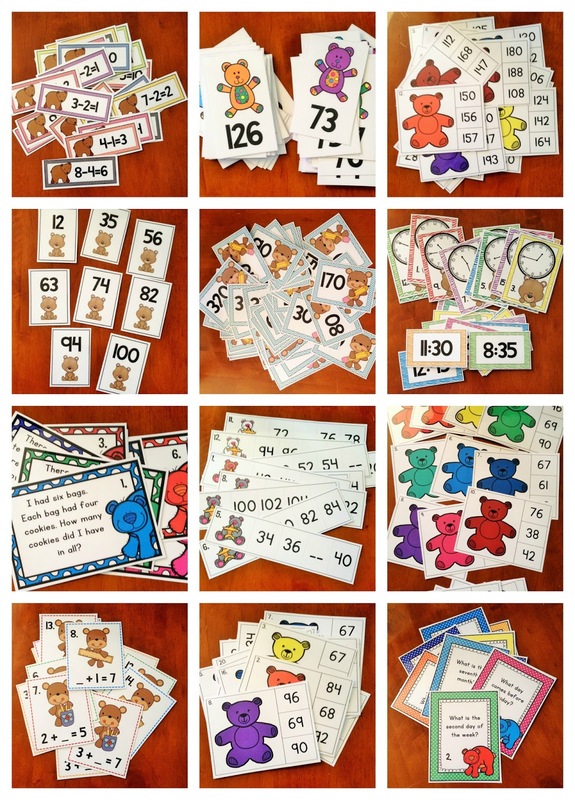 My Bear Math Centers and Printables Unit. We started the centers last week and they will flow over into this week too. There are 12 different center options in my Bear Math Centers unit so there was plenty for me to choose from. And, also included are 15 print and go math printables. That are just perfect for morning work, early finishers or homework. Or, anywhere else you want to squeeze them in. If you are interested in seeing more you can click the link below.